The theory driving test is on a touch screen computer for the multiple choice questions and for the hazard perception part you use a mouse. You must pass both parts. You can buy D.S.A. books and discs for a very reasonable price on ebay or you can borrow the material from MasterDrive Driving Academy Swansea. Only take your driving theory test once you are confident you will pass. The pass mark is 43 out of 50 and the time allowed is 57 minutes. Don’t assume the question says something doesn’t. Answer the questions you can do easily first, allowing you time to go back to the questions you find more difficult later on. The pass mark is 44 out of 75. A Hazard is anything that could cause a driver to reduce speed, swerve or stop. 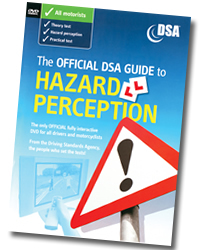 The Hazard Perception Test (HPT) is only concerned with developing hazards e.g. a pedestrian about to cross a road, a car emerging from a junction, traffic lights changing colour or a van turning right. On average you should have about 7 or 8 clicks per clip. Click once as soon as you see the hazard and a second time immediately after the hazard. Try not to click in a rhythmical fashion just hoping to get it right and don’t click more than 12 times per clip. Practise the HPT until your scores are up in the late 50’s or 60’s and remember to practice on different video clips to keep the scores an honest representation of your skill level. Make sure you take both parts of your licence (paper and card) with you and arrive early for your test otherwise your test could be deemed void and you will need to pay for another one. 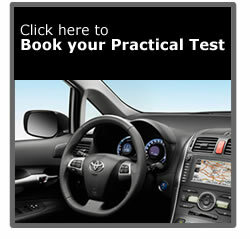 The practical driving test lasts for approximately 40 minutes. You may be asked to do an emergency stop (1 in 4 tests). 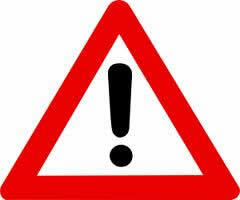 You must not take more than 15 minors and no serious or dangerous faults otherwise you will fail. Remember to bring both parts of your licence (paper and card) and theory certificate. Ensure you can read a number plate at 20.5 meters (67 feet) for an old style number plate and 20 meters (66 feet) for a new style number plate (Year 2001 onwards). Double check your date and time of the driving test – don’t be late. Keep driving simple. Be methodical and don’t drive close to kerbs or other vehicles. Try your best, but remember it’s not the end of the world if you don’t pass. Practice your mistakes and try again, some of the best drivers fail, but what is important is how you drive after you pass. The driving test is the minimum standard and your driving career is an upward spiral of learning experience. Pass Plus is a course of 6 hours within 12 months of passing your test. It is not a test, but you gain valuable experience of driving on roads which you might not have been accustomed to as part of your normal driving lessons. As a benefit, some insurance companies offer discount off the premiums for Pass Plus drivers. How Does Pass Plus Work? After covering 6 hours, the record and training report form are sent to the D.S.A. who will issue you with a Pass Plus Driving Certificate. Novice drivers are sometimes afraid of driving at high speed and feel intimidated by the sheer volume and high speed of traffic on a motorway. We recommend all new drivers take at least one motorway driving lesson which is a minimum of 2 hours to boost their confidence and show that they can handle a car at high speed. Remember motorways are the safest roads to drive on and you can travel great distances quickly. Drivers of ages from 17 upwards can feel intimidated, uncomfortable or panic when driving in certain conditions. During a driving lesson we can practise any roads, roundabouts, motorways and reversing exercises to overcome your fears and improve your confidence. Remember a confident and competent driver, is a SAFE driver and indecision can cause accidents. Overtime we are all susceptible to develop bad habits! Cars of today are a lot faster than 40 Years ago so your driving style could do with an update to make you a better and eco friendly driver. Driving lessons can be anything from 1 hour upwards and we will cover all of your driving styles and fears. Use the D.S.A. link online or get a DI form from the post office. How old do I need to be to drive? 17 Years old or 16 Years old if you are disabled. You can apply 3 months before your birthday, but cannot drive until you are 17. You need to be able to read a car registration plate at 20.5 meters (67 feet) for the old style and the new style (year 2001 onwards) from 20 meters (66 feet). How do I find a good instructor? Go for experience and recommendation. We get recommended by examiners – say no more! The D.S.A. say on average around 50 hours of driving lessons are needed, but it depends on age, private practise, the instructor and the pupil. 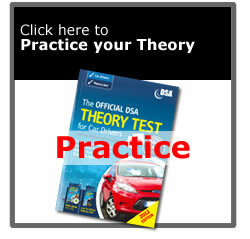 How do I prepare for the theory test? Plenty of reading and C.D.’s, free online tests. MasterDrive Driving Academy recommend using D.S.A. material. How do I book the Theory Driving Test? D.S.A. link online or over the telephone. 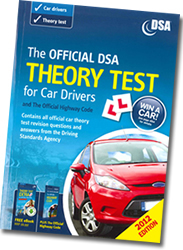 What are the pass marks for the driving test theory? 43 out of 50 for the multiple choice questions and 44 out of 75 for hazard clips. When can I book the Practical Driving Test? When you feel confident and when your instructor tells you that you are ready. Remember the pass rate in the U.K. is only about 45% because pupils take their tests before they reach a high enough standard. Can I rebook my driving test if I fail? Hopefully you won’t have to, but you can book straight away. 10 working days must elapse between tests though. Can I drive straight away after passing? Yes, providing you have insurance and a road worthy car. Your full licence will take between 1 and 3 weeks to arrive. You are allowed 7 days to produce documents at a police station if required. How many points am I allowed after passing? If you acquire more than 6 points within the first 2 years of driving you are required to apply for a new licence and do both tests again. Do you recommend Pass Plus? Yes, definitely. If you can’t do the 6 hour course it is worth taking a 2 hour motorway lesson at very least to get experience driving at high speed. Come and meet the team, MASTERDRIVE Driving Academy have the very best cars to learn drive in Swansea. 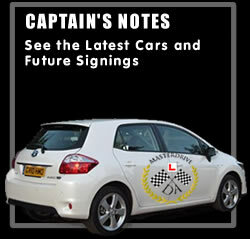 We will also have a look at possible future signings. Like our page on Facebook and if your recommendation for MASTERDRIVE Driving Academy leads to that person booking a driving lesson, you will recieve a driving lesson free as a reward. 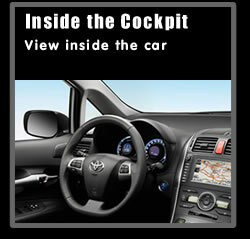 Why not have a sneak peak inside the cockpit and under the bonnet of a MASTERDRIVE Driving Academy Car? Get ready to learn to drive in Swansea and the freedom that awaits. 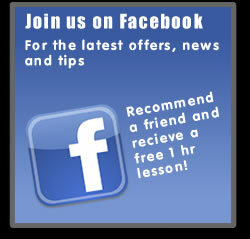 Book 3hrs of driving lessons with MASTERDRIVE Driving Academy and recieve 3hrs of driving tuition free. New drivers only. MASTERDRIVE Driving Academy is the best place to learn to drive in Swansea.